China’s remninbi (RMB) currency stands poised for higher valuations in the mid to long-term future, according to the United States Department of Treasury that had issued its ‘Semi-Annual Report to Congress on International Economics and Exchange Rate Policies for 2016’ last Friday. 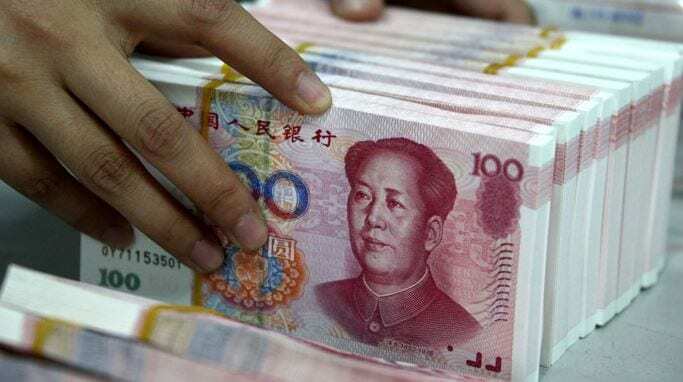 “The Chinese currency is still facing downward pressures, but the RMB is set to appreciate mid to long-term, on account of core factors – high net savings, sizable and growing current account surplus and improved terms of trade,” said the US Treasury. The RMB has solid fundamentals. China’s economy continues to expand at higher than global average GDP (gross domestic product) growth rates. Beijing holds vast foreign exchange reserves and remains the largest foreign single holder of US T-bills, while economists have forecast stable fiscal and financial conditions for the country. China has emerged as the world’s second-largest economy. The International Monetary Fund (IMF) has recognized the yuan as a major global currency. Starting this October, the RMB will join the IMF’s special drawing rights (SDR) basket of reserve currency. Other currencies already listed are: US dollar, Japanese yen, British pound, and euro. IMF Director Christine Lagarde made the announcement last November, setting the stage for the yuan to position into prominence as an international powerhouse currency. The RMB’s rise would offer more convenience for global companies to exchange the currency when conducting business with Chinese companies. Beijing has incentive to capitalize on a more globalized yuan. A nation’s currency represents its economic face. Yes, a country’s currency with low valuations make its exports cheaper, but a stronger currency signifies stability. China’s economy is moving away from a manufacturing and exports-based market; and towards a consumption and services-oriented one. To complete the transformation, Beijing must adapt to changing economic conditions and support a globalized yuan that can be freely exchanged in foreign markets. Despite recent turbulence in China’s economy and financial markets, the worse could be over as Beijing has taken re-balancing measures to move forward. Beijing has opened the doors to a 2-child policy, encouraging families to have more children to replenish the nation’s rapidly-aging population. Meanwhile, there are bold strategies to optimize financing and credit structures, along with lowering government intervention levels in the domestic economy. Beijing has also embarked on a campaign to inspire more home-grown innovations. “With rising wages and reduced foreign capital, the traditional strengths of the Chinese export manufacturing model are under pressure; however this have been offset by a maturing hi-tech sector,” Scott Richardson, managing director of Shenzhen-based Cardzgroup, told NewsMax. Accordingly, China can overcome current challenges and support a stronger yuan, as well as pushing for more innovation. The Chinese are well-known for being amazing savers, which explains their overall success in the global marketplace. They are willing to make sacrifices in the short-term to enjoy better long-term gains. Hence, Beijing’s pursuit of RMB globalization would concur at some costs in the near future, but would lay the path for a smoother ride of China’s currency in the long run.